The Memorable Order of Tin Hats (M.O.T.H.) was founded in 1927 by Charles Evenden as a brotherhood of South African former front-line soldiers. The ideal is to help comrades in need, either financially or physically; and to remember all servicemen who have answered the Sunset Call, both in war and peacetime. According to the Dictionary of South African Biography, one night in 1927 after he and the editor of The Natal Mercury, RJ Kingston Russell, had seen a war film, Charles Evenden was persuaded to draw a cartoon on 'remembrance'. According to the Dictionary, "The cartoon showed a tin helmet surmounted by a burning candle. Around the flames of the candle were six words – True Comradeship – Mutual Help – Sound Memory". However, the official M.O.T.H. website carries a cartoon captioned Forgetfulness and this led to the founding of the Order. This is confirmed by the Eastern Province Herald which describes the cartoon as follows: "a bullet- and shrapnel-riddled Allied helmet awash in the ocean. In the background a steamship passes over the horizon, leaving the forgotten, ghostly form of a veteran forlornly wading through the water." "The concepts of True Comradeship, Mutual Help and Sound Memory were to become the inspiration of a remarkable organisation of ex-front line soldiers, of all ranks, known as M.O.T.H. Evenden, as the founder of the movement and its guiding inspiration was given the title of Moth O – a position he held until his death." 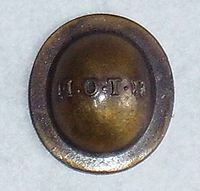 The membership of the M.O.T.H. movement, under Evenden's vigorous direction and leadership, grew into thousands. Men and women of two world wars, of the Second Anglo Boer War (1899–1902) and even those of former enemy forces streamed into its ranks. All who were prepared to keep alive the memories of comradeship and self-sacrifice – the finer virtues that war brings forth – were welcomed and made at home in shell holes as the meeting premises are called with colourful and meaningful names of war-time memories and occasions. M.O.T.H. shell holes have been opened in Malawi, Namibia, Zambia, and Zimbabwe. Membership was extended to those who had participated in the South African Border War. The shrine, located in Durban, is modelled on a Norman design from a photograph given to Evenden by Admiral Evans-of-the-Broke. In 1948 Evenden opened Mount Memory, a monument to the missing and dead of the Second World War, in the foothills of the Drakensberg mountains. In World War II and subsequent campaigns as members of the Union Defence Force outside the borders of the Union on active service. As officers or ratings in ships of the Allied Merchant Service at sea during World War I and World War II and minor campaigns. As full-time members of the Air Auxiliary Services of the Allied Forces (Such as BOAC) who served in combat areas in support of the Allied Forces in World War II. With the Underground Resistance Movements (Partisan Force) during World War of 1939–45 on the side of the original Allies. As full-time servicemen or women in minor campaigns, including the Korean War (1950–53), Mau Mau Uprising (1952–56), Malayan Emergency (1948–60), Cyprus Emergency (1955–59), Suez Crisis (1956–57), the Jewish insurgency in Palestine (1946–49) Aden Emergency – 1964–67), Indonesia–Malaysia confrontation (1962–68), or the Troubles (1969–) who are in possession of the General Service Medal and/or Northern Ireland Clasp. As members of the Rhodesian Security Forces in the Rhodesian Bush War. As members of the United States Armed Forces or their respective allies in the Vietnam War, Yugoslav wars, and Operation Desert Storm. As members of the South African Police or British South Africa Police in possession of the South African Police Medal for Combating Terrorism or the Rhodesian General Service Medal. who served in a South African Defence Force (SADF) operational area, namely South West Africa, Angola, Mozambique or the South African border. who have been directly engaged in operations anywhere in South Africa from 1 December 1983 until 2 February 1990.
actively engaged in operations after 2 February 1990 until 27 April 1994.
who since 1994 have received a campaign medal or clasp for military operations including peace keeping forces and operations in: Lesotho, Democratic Republic of the Congo, Burundi, Mozambique and Sudan. These campaigns will be updated from time to time at GHQ meetings. ^ a b c d e f g h i j k l m n o p "Memorable Order of Tin Hats – About Us". Retrieved 29 October 2012. ^ SESA 1974, pp. 327–28. ^ a b DSAB 1987, pp. 250–51. "Charles Evenden". Dictionary of South African Biography. V. Human Sciences Research Council. 1987. ISBN 0-7969-0420-0. "Memorable Order of Tin Hats". Standard Encyclopaedia of Southern Africa. 7. Nasou. 1974. ISBN 0-625-00324-1. Memorable Order of Tin Hats (May 2014). M.O.T.H. Constitution and General Standing Orders (PDF). Durban: M.O.T.H. General Headquarters. Retrieved 18 March 2015. Wikimedia Commons has media related to Memorable Order of Tin Hats. This page was last edited on 22 December 2018, at 13:15 (UTC).